Gizzards and Hearts is the debut album on Battleground Records from One Ton Project who are out of Las Vegas and are described as, “boasting an incredible array of influences into a cohesive, seamless, and explosively creative blend of what the band self-describes as “a bountiful cocktail of sounds on an oasis of rhythms.” That’s actually a pretty accurate summation of the album which begins with what sounds like a jazz acetate from say, the 1920s and then twists and turns all over the shop for the rest of the album’s duration. The obvious reference points are King Crimson and Frank Zappa (in his more “sensible” modes) mixed with say, Between the Buried and Me although occasionally as with “Backlight” more mainstream tendencies creep out (not exactly One Direction but just more straight ahead rock) but mostly this is intriguing grown up music which needs to be heard by as many people as possible. 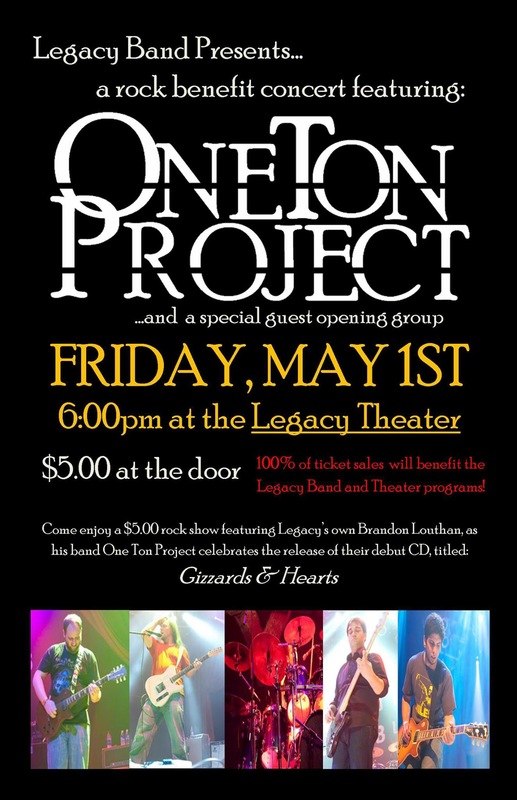 email OneTonProjectFan@gmail.com if you have more photos you would like us to add. 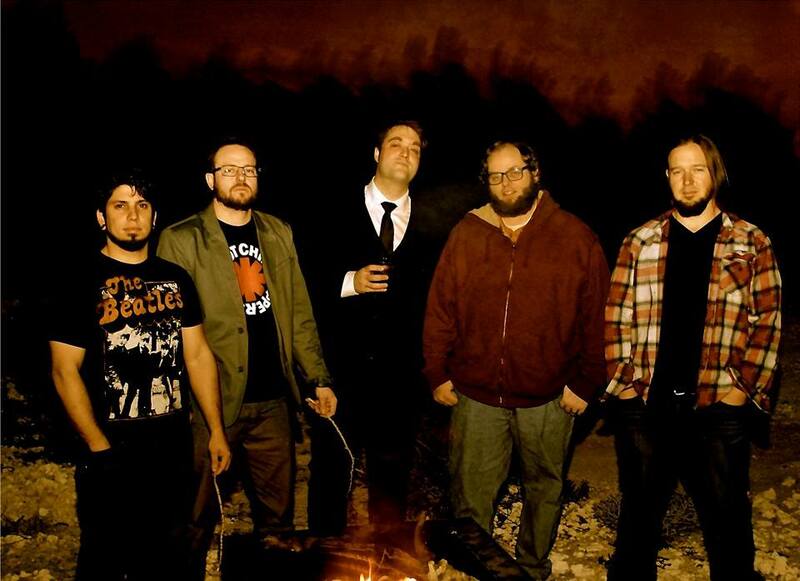 Battleground Records proudly announces the label’s next full-length label title and signing of Las Vegas-based dynamic rock quintet, One Ton Project. 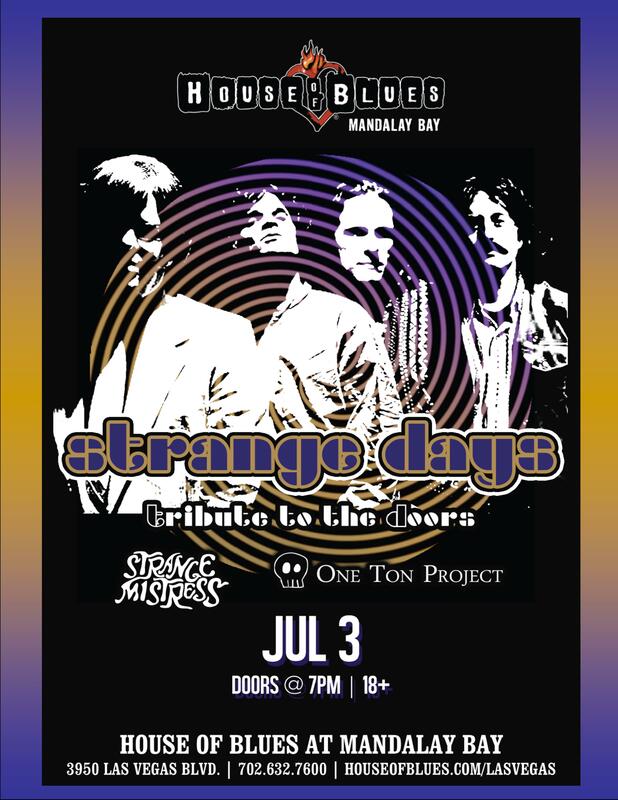 Boasting an incredible array of influences into a cohesive, seamless, and explosively creative blend of what the band self-describes as “a bountiful cocktail of sounds on an oasis of rhythms,” One Ton Project is about to unload a record for fans of all realms of rock music. Gizzards & Hearts released today May 5th, the 6-panel digipak CD HERE, limited 180-gram clear LP version HERE and digital HERE. Gizzards & Hearts is also on iTunes, Amazon MP3, Spotify, Google Music Store and all relevant digital platforms. 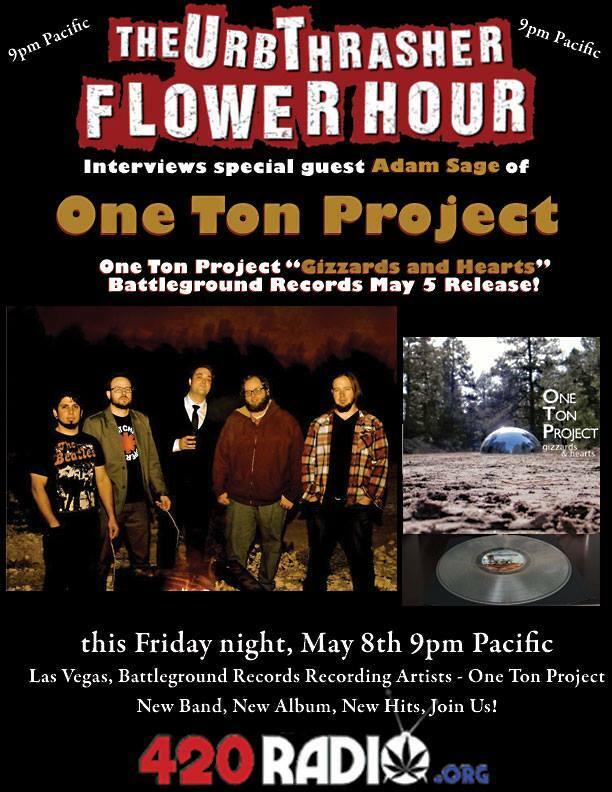 Adam Sage of One Ton Project Interviews with the Urb Thrasher Flower Hour! 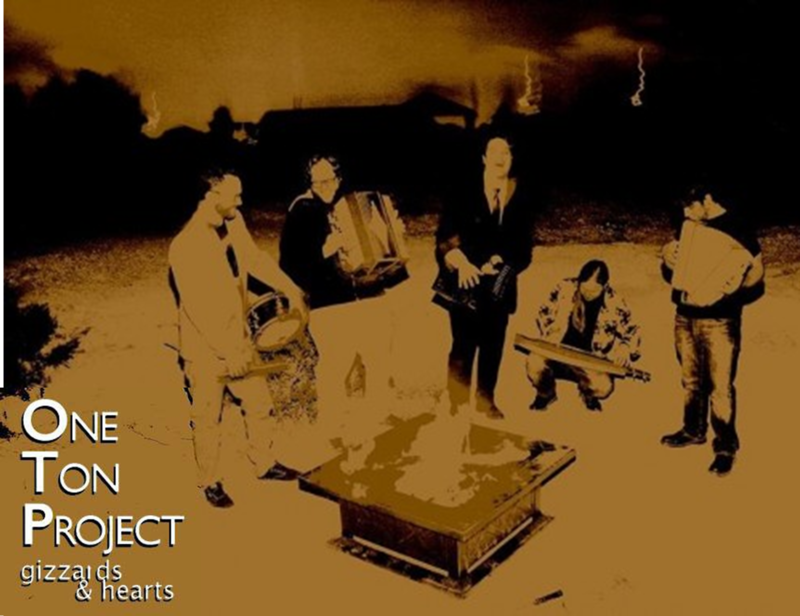 One Ton Project recently dropped one of the best albums of 2015 releasing “gizzards and hearts” on May 5th. 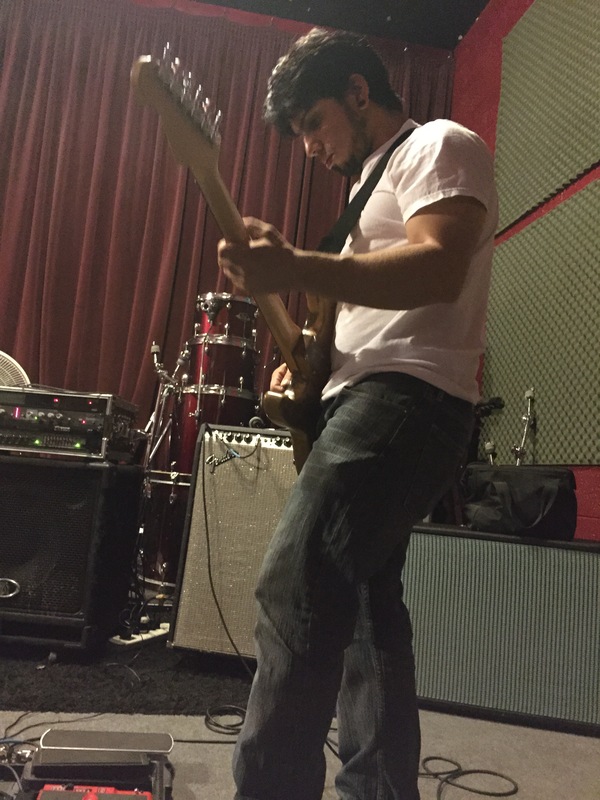 Based out of Las Vegas and signed to Battleground Records, it was fun welcoming bassist Adam Sage to the Urb Thrasher Flower Hour! Adam and I talked about the recording process, band member chemistry, musical influences and more! 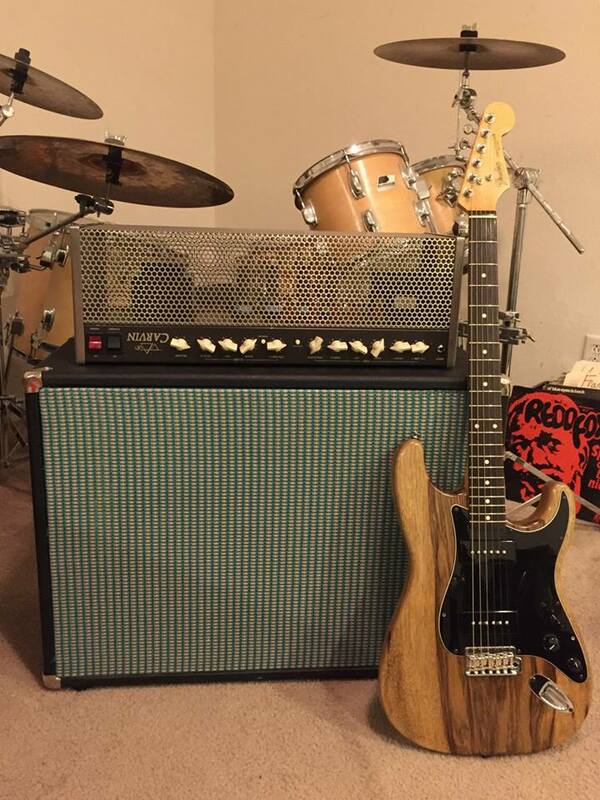 The seasoned techniques and developed originality of ”gizzards and hearts” goes beyond a musical label, it’s just 5 dudes that equal One Ton Project. Click below!